I've been thinking a lot about leadership lately. Leadership can be tricky. Today I want to give you some graphics that will guide our week. Tomorrow we're going to delve into types of leaders. Thursday, we'll talk about how to become the leader we want to be. I'm excited about this week! Leaders will experience both success and failure. How you handle both will determine the future of your leadership. 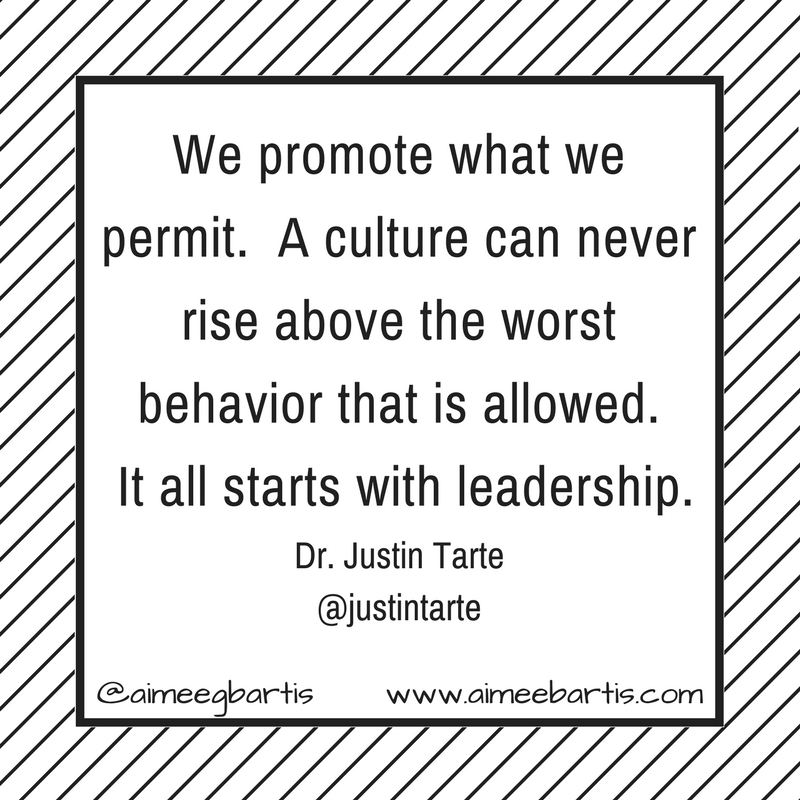 Dr. Justin Tarte is an educator that I follow on Twitter. This tweet really stuck with me. 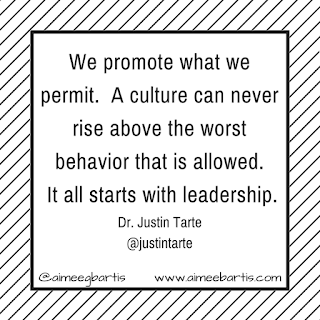 A huge part of leadership is about establishing culture. Establishing culture is directly related to how people are treated and held accountable. Part of the hard work of leadership is holding others accountable for the standards of your organization. I so love Tina Fey. She is smart and funny, two things I aspire to be. I love this quote from her because it's the essence of leadership. You have to get things done. Lead, follow or get out of the way! Another Tina quote. I'll admit, I'm a cryer. A bawl bag actually. I try to suppress it most of the time but it can get ugly. What I love about this quote is that you have to own your emotions. You can't be an emotionless leader. I hope you'll join me this week and join in the discussion about leadership. Post your favorite leadership quote on Facebook or Twitter and tag me. 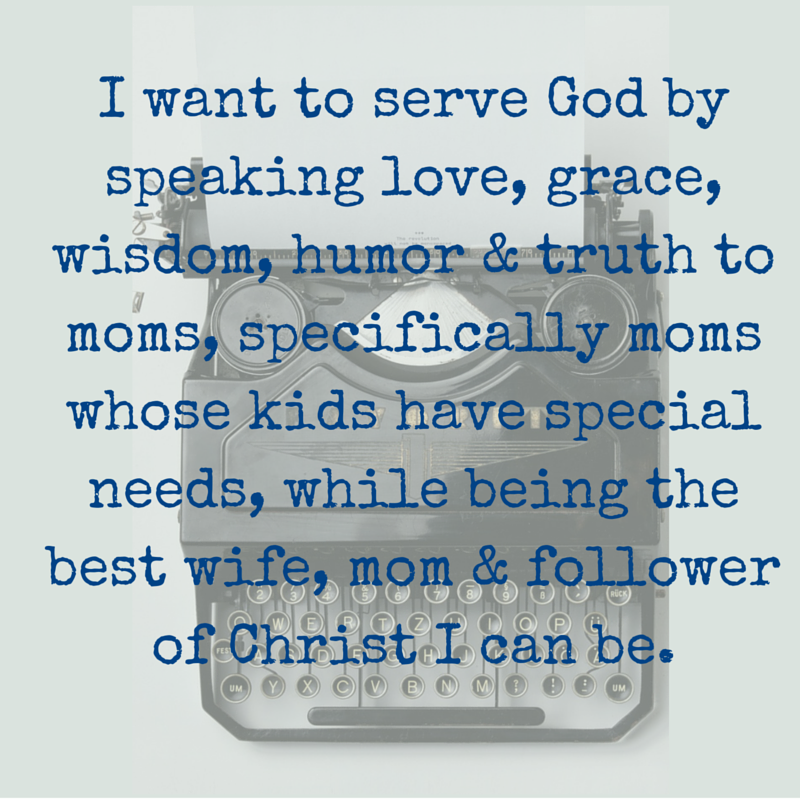 I'd love to know your thoughts. As always, you can always leave your thoughts in the comments!